With more than 21 million Christmas-themed playlists on Spotify, it’s safe to say our listeners have a healthy appetite for holiday music. But how early do they start listening to it? Depending on where you are in the world, there’s a good chance you’ve already begun. Most countries start to hit play on holiday hits in November, with the first big spike in listening happening around December 1st. (We’ve determined that a country is officially festive once Christmas tracks make up more than 2 percent of all listening in the region). According to our data, the Philippines is always first out of the gate and cranks up the Yuletide tunes as early as September. Makes sense; the country kicks off a bevy of Christmas-related festivities that month. And while Filipinos can’t get enough of holiday songs from Michael Bublé, Mariah Carey and Ariana Grande this time of year, they also love local veteran singer Jose Mari Chan, whose song “Christmas In Our Hearts” is a favorite in the region. But not everyone is impatient for Christmas music; some countries like Argentina and Uruguay wait until Christmas Day itself to start listening. (For an embeddable graphic representation of how streaming kicks into high gear around the world based on 2017 data, go here). Enjoy our top lists of the songs and artists bringing in the Christmas spirit year after year around the world; it’s a mix of the tried-and-true holiday classics from the likes of Frank Sinatra and Brenda Lee, to more contemporary artists like Ariana Grande, Michael Bublé, and Justin Bieber. 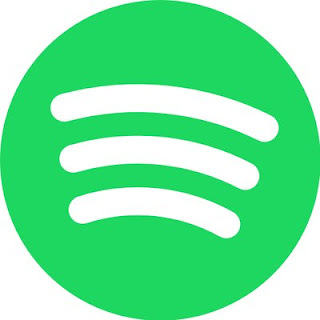 To get into the festive spirit, check out some of Spotify’s favorite holiday-themed playlists, like Christmas Classics, Christmas Pop, Christmas Jazzand Hanukkah. And on November 19th, look out for Spotify Singles: Christmas Collection, a playlist of holiday covers performed and recorded in Spotify studios around the globe by artists like John Legend, Meghan Trainor and Paloma Faith.